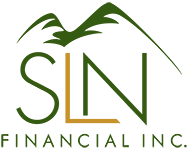 3 Secrets to Buying LTC Insurance | SLN Financial, Inc.
As you get older, the pressure to plan for long-term care costs rise with your age. To get a good deal on long-term care (LTC) insurance easier, here’s a few secrets for you. 2. Determine affordability. Premiums have continued to rise in recent years, since original assumptions insurers made have turned out inaccurate. With the expectation of premiums to continue rising, people have started to look at hybrid products that combine LTC insurance with life insurance. Hybrid policies can be expensive as well, though – so make sure you have a good deal. 3. Buy early. It’s ideal to buy LTC insurance in your fifties. As premiums climb each year you age, the costs can skyrocket if you’re trying to buy LTC past 65. It’s important to buy while you’re in good health and can better pass the underwriting standards of insurers – allowing you to benefit from more affordable premiums. Don’t let the pressure of LTC insurance get to you. We’re here to help every step of the way. Please call us with any questions you may have, and we’ll make sure you have the best LTC policy for you!